Carmel Aaron - Ms. Aaron has a degree in biology and has been certified by Proevity in Nutrition and Glycemic Indexing. She owns and operates Anatomy Academy Wellness, where she teaches a Certified Wellness Weight Loss Coaching program as a GKCC – *Genetic Key Coaching Certification (GKCC) is recognized by the International Association of Complementary Medicine. Naheed Ali, MD - Dr. Ali is the author of the forthcoming nonfiction work “Are You Fit to Live?” and has plans for a new book that focuses on diabetes management. He completed his clinical clerkships at Emory’s Crawford Long Hospital, among other clinics in the Atlanta, Georgia area. He is a passionate medical doctor and patient advocate. His interest in writing began in college and has developed into a passion ever since. He is a Suite101.com Contributing Writer and has written on the subject of magnesium and is the author of “The Powerr of Magnesium”. Greg Arnold, D.C., CSCS - Dr. Arnold is an award winning Doctor of Chiropractic medicine and is Certified by the National Strength and Conditioning Association (NSCA) to design and implement safe and effective strength and conditioning programs for athletes. Dr. Arnold has also gained Advanced Certification from the Spine Research Institute of San Diego and is a member of the American College of Sports Medicine and is certified by the National Pitching Association. Dr. Arnold is the Director of Complete Chiropractic Healthcare center and serves his community by providing free chiropractic health care to veterans and by providing private baseball pitching instruction. Dr. Dana Ballerini, D.C. - Dr. Ballerini is the author of The Healthy Alternative: Why Chiropractice Care Is the Safest and Most Effective Way to Restore and Maintain Optimal Health …Naturally! and is the Director of Advanced Chiropractic specializing in rapid identification, treatment and permanent elimination of pain, with faster recovery typically one-third (1/3) the time required versus conventional and often non-permanent treatments, using non invasive, non surgery, non drug treatment methods. He is a proponent of nutritional magnesium. Dr. Susan E. Brown, PhD, CNS - Dr. Brown is the Director of The Center for Better Bones and the Better Bones Foundation and is a medical anthropologist and a New York State Certified Nutritionist. She has more than 20 years of experience in clinical nutrition, bone health research, and lay and health professional education. She has consulted widely on socioeconomic, cultural, educational, and health issues and has taught in both North and South American universities and has authored the following books: Better Bones, Better Body: Beyond Estrogen and Calcium (Keats Publishing Company, 2000). She co-authored The Mend Clinic Book of Natural Remedies for Menopause and Beyond (Dell, 1997) and The Acid-Alkaline Food Guide (Square One Publishers, 2006), and has published numerous articles in English and Spanish. Dr. Brown received her doctorate from the University of Michigan in 1972 and is the recipient of two Fulbright–Hays Scholar Awards, as well as an Organization of American States Research Fellowship, and is a member of Sigma Xi, the honorary Scientific Research Organization of North America. In the fall of 2002, Dr. Brown was appointed research associate at the Department of Anthropology of Syracuse University. Jesse Cannone – Master Certified Fitness Trainer and Specialist in Fitness Nutrition and Post-Rehabilitation. Mr. Cannone is recognized as one of the top fitness trainers and natural health experts in the United States. With a strong passion for helping people educate themselves about health, fitness, and their bodies, Jesse is a national fitness presenter and author of numerous fitness publications including “Fitness Success News” a bi-monthly newsletter, “A Bride’s Guide to Fast Fitness + Weight Loss”, and “Burn Fat FAST!” a very popular weight loss guide. Mr. Cannone has created the world’s first self-assessment and self-treatment program for back pain and sciatica sufferers. The system, which is called “Lose The Back Pain”, has proven extremely effective and over 35,000 copies have already been sold in 85 countries. Having personally worked with hundreds of clients, Jesse has developed a no-nonsense approach to fitness and wellness that has helped people all over the world weed through all the weight-loss and fitness hype to discover what really works. As a result, Jesse has been able to help millions of people reach their weight-loss and fitness goals through his articles, books, audio programs, videos,and seminars. Dr. Cari Case - Dr. Case is the director of Case Chiropractic and Fibromyalgia Center – She is certified in a number of disciplines including Activator Methods Technique and Cox Technique. She has also had extensive training in Nimmo Trigger Point therapy, rehabilitation, nutrition, and family practice. Jack Challem, The Nutrition Reporter™, is a personal nutrition coach and one of America’s most trusted nutrition and health writers. Based in Tucson, Arizona, he is the bestselling author of more than 20 books, including Stop Prediabetes Now, The Food-Mood Solution, Feed Your Genes Right, and The Inflammation Syndrome. Jack is a columnist for Alternative & Complementary Therapies and his scientific articles have also appeared in Free Radical Biology & Medicine, Journal of Orthomolecular Medicine, Medical Hypotheses, and other journals. 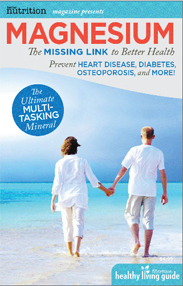 Free, downloadable excerpts from his books, and sample issues of his print newsletter are available at www.nutritionreporter.com. Catherine M. Champagne, PhD, RD, LDN - Dr. Champagne is Professor and Research Chief of Nutritional Epidemiology at the Pennington Biomedical Research Center in Baton Rouge, Louisiana. Her research papers have been published widely. She is an expert on the Dietary Approaches to Stop Hypertension (DASH) diet which may improve health in new ways other than the obviously beneficial cardiovascular effects. The DASH diet may also reduce the risk of some cancers, and the calcium in the dairy products would help to lower the risk of osteoporosis. One of the key things that has been promoted in the DASH studies is that it is made up of regular foods that are available at most grocery stores. Additionally, the DASH diet is consistent with many of the recommendations made by organizations in the United States: the Dietary Guidelines for Americans, the National Cholesterol Education Program’s Step 2 Diet, and the National Cancer Institute. There are data from some studies, such as the DASH and PREMIER studies, that suggest that lifestyle changes (including adequate magnesium intake) can benefit blood pressure control, promote weight loss, and improve chronic disease risk. Mary Jean Netario Cruz, HC,AADP - Certified Integrative WellBeing Coach – Mary Jean earned her certification from the Institute for Integrative Nutrition in New York City, USA. She is certified by the American Association of Drugless Practitioners and has obtained continuing education in State University of New York City. As a wellbeing counselor, her passion is to help individuals walk towards living a healthy lifestyle while fulfilling her goal to economically empower the marginalized people through inter looping their livelihood with wellness. Mary Jean has appeared on various national radio and television programs and has been featured in news and magazine articles. She is a keynote speaker on numerous occasions; she facilitates webinars, lectures, trainings and seminars. Her STAR of Wellbeing signature talk spearheaded the awareness on the inherent and coherent attributes of one’s wellbeing and truly tuned in the participants to the core of their existence and why it is a state of constant change. MJ is a cohort in the Infopreneurs collaboration of Health Coaches worldwide, dedicated to bring in empowering information to anyone who needs it most. MJ anchored Universal Access to Health and Revolution per Minute radio programs aired over DZRJ. Her journey to wellness started with Soup of the Day way back late December 2007. Her Soup of the Day energy led her to community development, organic farming, herbalism, social entrepreneurship and wellness profession. She has traveled to places around the Philippines, from up north the Cordillera to the south, deep into the plains of Mindanao. This strengthens her commitment to help make the change needed. She earned her Social Entrepreneurship Certification from Ateneo de Manila and Bridging Leadership at Asian Institute of Management. In applying the Theory U from Presencing Institute, Soup of the Day was a case study topic that became a platform to many practitioners. She is an awardee of the Department of Environment and Natural Resources for her valuable contribution in protection of the environment. Dr. Jean-Jacques Dugoua, ND, BSc (Hons.) MSc (cand.) - Dr. Dugoua, is a Doctor of Naturopathic Medicine (ND), the Director of the Liberty Clinic and a PhD candidate at the University of Toronto. He is also a researcher at Sick Kids Hospital (Toronto) and a published author. “I practice science-based medicine, rely on holistic wisdom from the past and use natural treatments for disease”, say Dr. JJ. Dr. JJ combines naturopathic medicine, clinical nutrition, evidence-based medicine, acupuncture, homoeopathy, detoxification, mesotherapy and intravenous (IV) therapies in his treatments. He has worked with patients suffering from chronic disease, including HIV/AIDS, cancer, arthritis, chronic fatigue, fibromyalgia, diabetes, multiple chemical sensitivities, chronic pain, gastrointestinal disease and heart disease. He practices preventative medicine where patients are given treatment plans and health strategies to optimize their health. Dr. JJ regularly gives seminars at national and international conferences. Dr. James R. Fedich, DC, CHC - Dr. Fedich is a certified Health Coach, Professional Speaker and Chiropractor in Northwest New Jersey. He has done consulting work for companies such as UPS, has written many health articles, and maintains a private chiropractic practice in Allamuchy, NJ. Dr Fedich treats patients as young as one week and as old as 96 with conditions from spinal pain to asthma. He is available for health care consulting, speaking, and takes chiropractic patients out of his Panther Valley Location. Stella Gray, Spa Elder at Fern Tree, The Spa at Half Moon and weekly columnist for the Jamaica Observer. For centuries, Jamaicans have been using indigenous herbs, flowers, bark, roots and fruits to heal and nurture their people. Expanding on its central philosophy of wellness, Fern Tree, The Spa at Half Moon offers a dedicated Spa Elder versed in the art of holistic healing. The Spa Elder will guide you through the four phases of wellness: individual, body, mind and spirit. Incorporating the natural herbs and botanicals found in Jamaica, the Spa Elder creates treatments that incorporate both traditional remedies and modern spa techniques. Ben Greenfield, M.A. Sports Science and Exercise Physiology - Mr. Greenfield was voted the 2008 Personal Trainer of the Year, by the National Strength and Conditioning Association and is the author of several books including “Top 12 Resistance Training Routines for Triathletes”, “Run With No Pain”, “100 Ways to Boost Your Metabolism” and “Shape21 — The Complete 21 Day Lean Body Manual”. Ben is also the Director of Sports Performance and oversees the physiology and biomechanics laboratory at Champions Sports Medicine in Spokane, WA, which offers metabolic-based weight loss, bicycle fitting, running gait analysis, swim stroke analysis, VO2 max testing, blood lactate testing, resting metabolic rate analysis, and other cutting-edge procedures for weight loss and performance. Elson M. Haas, MD - Dr. Haas is a practicing physician since 1973, instrumental in the development of the field of Integrated Medicine. He is the founder and director of the Preventive Medical Center of Marin, an Integrated Healthcare Facility in San Rafael, California, where he specializes in Family and Nutritional Medicine, Detoxification, and Individualized Health Programs. He also oversees regular Detox Groups for people to learn this important process of healing in their daily lives. The good doctor calls this group education and transformation experience one of the most rewarding aspects of his career. Rehan Jalali, C.S.N - Mr. Jalali is a nationally recognized Certified Sports Nutritionist (C.S.N. ),with over 250 nationally and internationally published articles on nutrition and supplementation. Rehan has worked with many Olympic and professional athletes including Gold medalists. Long considered an authority on sports nutrition, Rehan is the author of “The Six Pack Diet Plan”, “The Sports Supplement Buyers Guide”, “The Ultimate Performance Guide to Fitness Success” and co-author of “The Bodybuilding Supplement Guide”. He is host of the supplement segment on the weekly Canadian TV show “The Art of Building Bodies”. He is a nationally published scientific writer, monthly columnist, and model who has appeared in Newsweek, US Weekly, Life & Style, InTouch, Men’s Health, Muscle and Fitness, Men’s Fitness, Ironman Magazine, Physical, Let’s Live, SLY, Maximum Fitness, MuscleMag International, Nirvana, Inside Fitness, Health Supplement Retailer, Vitamin Retailer, Oxygen, Muscle Media, Hydrate, Adrenaline, Whole Foods Magazine, Grappling, Mind and Muscle Power, Real Solutions, Personal Fitness Professional, Health Products Business, Olympian’s News, The Washington Post, The Orange County Register, the Houston Chronicle, Angeleno, Human Performance, Muscle News, Muscle & Body, Pumped, Muscle News, Drkoop.com, thinkmuscle.com, and Mesomorphosis.com among others. As a consultant and trainer, Rehan has worked with thousands of doctors, fitness enthusiasts, professional athletes, and well known actors. A celebrity in his own right, Rehan is also a nationall ranked,natural bodybuilder who has appeared on ESPN and CBS. He has held numerous bodybuilding titles, including Mr. Texas and the Ironman Natural Bodybuilding Champion and has regularly been featured in “Muscle Media” and “Ironman” magazines, and in the film “Body of Work”. He is a member of the American Medical Writer’s Association and his goal is to Change the World One Body at a Time! Richard Jensen, PhD, CNC - Holistic Health Counselor/Nutritionist and author of The Failures of American Medicine, published in 2002. He received a Bachelor of Science in Microbiology and a Master of Science degree in Molecular Biology from San Diego State University. Dr. Jensen has also written a doctoral dissertation on how Vitamin C can reduce stress and allergies via its antihistamine effect. He has worked in a broad range of BioMedical fields, such as gene regulation, cancer research, and HIV vaccine development. However, Dr. Jensen eventually decided that helping people directly would be more rewarding for everyone involved. He has since helped clients with dozens of different ailments. Dr. Jensen is a practitioner in the field of Metabolic Typing, which characterizes different biochemistries among people based on certain physical and behavioral traits they have. Sana Keller, MS, RN, CNC, MH, HHP Doctoral Student, PhD Integrative Medicine – is the owner of Health Unlimited, an independent consulting practice specializing in Integrative Health Consultations, Cancer Survivor Consultations & Healthy Living Seminars. As a Registered Nurse, Certified Nutritional Consultant, Master Herbalist, and Holistic Health Practitioner, Sana combines her background in nursing and comprehensive knowledge of Integrative Medicine to provide guidance and support in your health journey. Kerri Knox, RN - Functional Medicine Practitioner and founder of the “Easy Immune System Health”. Ms. Knox began working as a Licensed Practical Nurse in 1994 and went on to receive her Registered Nursing License in 1996 and has been actively working in Emergency Rooms and Intensive Care Units for over a decade. She is dedicated to helping people overcome their challenges with chronic illness. Her new site http://www.side-effects-site.com provides valuable REAL information about Side Effects that are important to YOU! If you’re about to take a new prescription drug, herbal supplement, vaccine or vitamin supplement- you should find out what problems you could experience first. Don’t wait until you HAVE an adverse drug reaction before you get this important information. Ashley Koff, RD - is a registered dietitian (R.D.) who strives to make better nutrition a way of life for all. Koff has the proven ability to demystify the science of nutrition and communicate the importance of a healthy lifestyle to clients in a way that instills loyalty and trust. Never preachy, Koff’s clients truly admire her gentle and patient way of finding the correct and effective nutritional program to suit their individual needs. Her passionate style is effective, resulting in Koff being named by Citysearch as LA’s “Best Nutritionist” three years running. Koff launched AKA (ashleykoffapproved.com) in 2008 as a way to house all aspects of her private practice, nutritional endorsement opportunities, as well as her corporate consulting company (formerly the healthXchange). With AKA, consumers of all demographics can readily identify products that meet Koff’s standards for nutrition resulting in optimal health. Under the AKA umbrella, Koff also offers business-to-business consulting. Susan M. Lark, MD - Dr. Susan Lark is one of the foremost authorities in the fields of clinical nutrition and preventive medicine. A graduate of Northwestern University Medical School, she has served on the clinical faculty of Stanford University Medical School from 1981-1983, and taught in their Division of Family and Community Medicine from 1991-2002. Dr. Lark is a distinguished clinician, author, lecturer and innovative product developer. Through her many years of clinical experience, she has pioneered the use of self-care treatments such as diet, nutrition, exercise and stress management techniques in the field of women’s health, and has lectured extensively throughout the United States on topics in preventive medicine. She is the author of 13 best-selling books on women’s health. Her most recent book is “Dr Susan Lark’s Hormone Revolution”, written with Kimberly S. Day. One of the most widely referenced physicians on the Internet, Dr. Lark has appeared on numerous radio and television shows, and has been featured in magazines and newspapers including: Real Simple, Reader’s Digest, McCall’s, Better Homes & Gardens, New Woman, Mademoiselle, Harper’s Bazaar, Redbook, Family Circle, Seventeen, Shape, Great Life, The New York Times, The Chicago Tribune, and The San Francisco Chronicle. Dr. Lark’s mission is to provide women with unique, safe and effective complementary therapies to greatly enhance their health and well-being. Hans R. Larsen MSc, ChE - Hans Larsen is an expert on Lone Atrial Fibrillation, is a professional engineer and holds a masters degree in chemical engineering. He is the author of six books – “Lone Atrial Fibrillation: Toward a Cure Vol I,II, III, IV & V” and “Thrombosis and Stroke Prevention” now in its 2nd edition. He developed a lifelong interest in biochemistry and nutrition through his early studies with Professor Henrik Dam, the Nobel Prize-winning discoverer of vitamin K. Later he honed his abstracting skills by abstracting for Chemical Abstracts, the world’s largest abstracting service. After a successful career in research and development Mr. Larsen nurtured a keen interest in alternative medicine and the biochemistry and effects of natural antioxidants. Mr. Larsen is a firm believer in magnesium and the benefits of proper nutrition, exercise and judicious supplementation. Mr. Larsen started International Health News in 1991 and by now has built up a sizeable core of dedicated subscribers all over the world. International Health News established its presence on the World Wide Web in November 1994. The Afib Report began publication in 2001 as a means of disseminating Mr. Larsen’s research on lone atrial fibrillation. Lone atrial fibrillation, although not life-threatening, can have a devastating effect on one’s life. Dr. Ritamarie Loscalzo, MS, DC, CCN, DACBN - Dr. Loscalzo is known as The Women’s Fatigue Expert and Vibrant Health Mentor. She is the author of six books and five home study courses including “Simple Strategies for Creating Vibrant Health In Spite of Day to Day Challenges”, “Eat Your Way Out of Pain” and “Feast Your Way to Health - A complete guide to healthfully decadent recipes for holidays and special occasions”. Fresh, joyful, and vibrant, brimming with energy and wisdom to guide you gently back to health, Dr. Ritamarie Loscalzo combines experience, education, and practical advice to make healthful eating fun again. For over two decades, Dr. Ritamarie has provided chiropractic care, health guidance, and nutritional advice to countless people who want to make healthy changes but don’t know where to start. She motivates and inspires both fellow health coaches and individual clients by making healthy changes fun. Dr. Ritamarie became interested in living foods and healthy eating after her own bout with illness that transformed her understanding of the relationship between diet and health. After recovering her health through fasting and raw foods, she began her formal training in diet, nutrition, and natural medicine. Dr. Ritamarie holds a Doctor of Chiropractic Degree with Certification in Acupuncture, and is a Diplomat of the American Clinical Nutrition Board. She is a Certified Clinical Nutritionist, with a Master of Science in Human Nutrition. She also holds a Master of Science in Computer Science from New York University. She is also certified as a living foods chef, instructor, coach and teacher. Gale Maleskey, MS, RD – Ms. Maleskey is a journalist, clinical dietitian and public educator. Her specialties are healthy lifestyles, food and nutrition, nutritional supplements, women’s health, aging, alternative medicine and medical consumerism. She has been a senior editor for Prevention magazine, and has authored seven books, including Nature’s Medicines, The Hormone Connection, Energy Forever and Vitamins and Minerals: Questions You Have, Answers You Need. She is a regular contributor to the website, Stop Aging Now, where she tells people how to use the latest nutrition research to improve their health. DeWayne McCulley - Diabetes Educator, Health Coach & author of “Death to Diabetes”. Mr. McCulley is an ex-diabetic engineer who survived a near death, diabetic coma with a blood glucose level of 1337 – more than a thousand points above normal. Despite two blood clots, pnemonia, high cholesterol, and four insulin shots a day. DeWayne was able to use his engineering and biochemistry background to methodically wean himself off the insulin, Coumadin and other drugs. He lowered his average glucose level to less than 95 and his hemoglobin A/C below 5%, while losing 50 pouinds and reversing his diabetes within 4 months. Michael McEvoy, FDN, CNC, CMTA is a Functional Diagnostic Nutritionist, a Certified Nutritional Consultant and a Metabolic Typing Advisor. He offers nutrition and healing protocols that successfully build health and help people achieve their optimal health goals. Marta Montenegro, MF, MS, CSCS, NSCA-CPT inspires people to live healthy lives by giving them the tools and strength to find one’s inner athlete through her personal website MartaMontenegro.com. She created SOBeFiT, a national fitness magazine for men and women, and the Montenegro Method DVD workout series – a program she designed for getting results in just 21 days by exercising 21 minutes a day . Marta is a strength and conditioning coach and serves as an adjunct professor of exercise physiology at Florida International University. Elaine Moore, MT - Ms. Moore is a Medical Technologist, MT (ASCP), with more than 30 years experience working in hospital laboratories. She earned her degree in medical technology from the University of Toledo and attended the University of Colorado for her graduate work. Over the years, Elaine helped develop numerous laboratory procedures and has written numerous books. Lani Muelrath, M.A.,- Ms. Muelrath is a holistic fitness lifestyle coach who is known as “The Fitness DreamMaker”. She is a dynamic coach and vivacious speaker with some impressive credentials in the realm of exercise, health, and weight loss. She specializes in helping women succeed in their weight and body shaping dreams by transforming their relationship with their body, eating, and exercise. Rewriting behaviors and patterns into those that are consistent with the fitness, health, mental outlook and positive energy we desire is her forte! With over 30 years of experience as a teacher, coach, and trainer, Lani is a Guest Lecturer in Kinesiology at San Francisco State University, and is recipient of the Golden Apple Award for Excellence in Instruction. She created and starred in her own CBS TV show, and is the Healthy Living Examiner at examiner.com. She has some exciting and effective programs for women who want to move forward in their fitness – and lives. Her compassionate and knowledgeable approach combined with expertise in fitness as well as inner transformation make it possible – you should see the testimonials! Lani overcame her own lifetime struggle with weight over 10 years ago when she lost 50 lbs, which she has maintained easily with the tools that she now teaches in her signature program, “Woman’s Fitness BluePrint: An Action Plan for Success”. Evita Ochel, B.Sc., B.Ed., CHN – is a certified holistic nutritionist, biologist, educator, writer, researcher and speaker in the areas of health, science and holistic wellness. She is a nutritional science expert and her teaching and writing focus on natural, wholesome, plant-based and organic nutrition to achieve optimal health and longevity. Ms. Ochel believes in and lives by the balanced holistic approach to life, as she knows of the strong connection between emotional, spiritual and physical health. She also teaches about natural living in all areas of one’s life, not just nutrition to achieve optimal health, including the reduction and elimination of toxins from our environment and bodies through things such as natural personal care and home products. She also specializes in the anatomy and physiology of the human body and teaches that once a disease or symptoms develop, it is long after the initial cause of the symptoms occurred. Hence, it is important to be aware of the mind, body and spirit alignment in one’s life at all times for balanced, optimal health. Laura Owens - Professional freelance writer and co-founder of the Orlando Chapter of Mothers & More, a non-profit organization dedicated to improving the lives of mothers through support, education and advocacy. They address mothers’ needs as individuals and members of society, and promote the value of all the work mothers do. As a non-profit organization serving 7,500 mothers in the U.S. and beyond, Mothers & More is poised to play a leading role in creating a society whose practices and policies successfully balance the needs and interests of those who work for pay, those who care for their families, and those who do both. Dr. Michael Pangelinan, D.C. - Dr. Pangelinan is a sports medicine expert and adrenal fatigue expert and has worked as a research associate in protein biochemistry and cellular biology at the National Cancer Institute in the National Institutes of Health. Dr. Pangelinan has also worked for the renowned bio-tech company, Amgen. His molecular and cellular biology research included mechanisms involved in growth factors for wound healing and cloning research. Dr. Pangelinan’s research work has been published in several prominent scientific journals such as “Science” and “Cell”. Grant Reynolds - Mr. Reynolds is the Manager and Coach of the Back Bay Sharks (BBRFC) – Championship Rugby Team. With 17 years of experience in the sport, Mr. Reynold’s team leads the 2nd Division, Southern California, USA Rugby League, in an undefeated season and is a contender for the Southern California Championship and National Level Championship. Mr. Reynolds was part of the All Star Team for Southern California as well as for the Gold Coast, Australia Team. Mr. Reynolds manages a 40 man team and coordinates with 100 additional players that are in a variety of divisions under the umbrella of the Back Bay Shark team. Reuven M. Rosenberg, D.C. - Dr. Rosenberg is the Director of the The Integrative Health Center in Ramat Bet Shemesh, Israel. He is a 1998 graduate of Parker College of Chiropractic in Dallas, Texas. After graduation he studied under and worked with several top doctors in New York. and is pursuing a post graduate diplomate in chiropractic neurology and continues to take post graduate courses to stay current with the latest information. Dr. Steven Ross - Author of “Curing the Cause” – Dr. Ross’ twenty six years in practice, training and experience and his unique approach to successfully diagnose and treat health issues has made him an expert and a leader in the field of Functional Diagnostic Medicine. Utilizing Functional Diagnostic lab testing and Functional Assessment profile, Dr. Ross provides unique science based insights into health and the treatment of disease. He has helped many individuals around the world with misdiagnosed symptoms and has guided them to improve their health dramatically without the use of drugs. He maintains two active practices in Southern California and and consults patients worldwide. Dr. Ross is included in the “Who’s Who of Business Professionals”. He has a diplomat from the American Academy of Pain Management and is an Affiliate Physician of the Chopra Center in La Costa California. http://www.drstevenross.com – Clinichttp://www.curingthecause.com - Book. Gillian Sanson, author and health educator - Ms. Sanson is the author of the Myth of Osteoporosis (MCD Century Publications) and is a women’s health educator, researcher and author. She was menopause educator for the New Zealand Family Planning Association Northern Region from 1996 – 2001 and is currently a guest educator for organisations, companies and groups including Women’s Health Action Trust NZ. Ms. Sanson also wrote the book Mid-Life Energy and Happiness (Penguin Books NZ) which was published in 1999 in NZ, the UK and Australia. Her other popular books include The Osteoporosis ‘Epidemic’: Well Women and the Marketing of Fear (Penguin Books NZ 2001) which challenge common misconceptions about osteoporosis and provides valuable knowledge on how to create and maintain bone health. Al Sears, MD - Dr. Sears sees patients at his integrative clinic and research center in Florida where he has developed novel exercise and nutritional systems transforming the lives of over 20,000 patients. With over 500 articles and six books in the fields of alternative medicine, anti-aging and nutritional supplementation, Dr. Sears enjoys a worldwide readership and has appeared on over 50 national radio programs, ABC News, CNN and ESPN. He is the author of “PACE: Rediscover Your Native Fitness” and “The Doctor’s Heart Cure”. Dr. Sears is a board certified clinical nutrition specialist and was appointed to the international panel of experts at Health Sciences Institute, (HSI) a worldwide information service for alternative nutritional therapies. Dr. Sears is a member of the American Academy of Anti-Aging Medicine and is Board Certified in Anti-Aging Medicine. He is a member of the American College of Sports Medicine and the National Youth Sports Coaches Association. In “The Doctor’s Heart Cure”, Dr. Sears exposes the real causes of the modern epidemic of heart disease with practical how-to advice for building real heart strength and resistance to disease without drugs. It is available in nine languages and remains a bestseller three years after its publication. His “12 Secrets to Virility” sheds light on the huge environmental and nutritional problems with virility in our modern world and gives men a step-by step guide for maintaining health, strength and masculinity as they age. It became a bestseller during its first month of release. His latest book “Your Best Health Under the Sun” addresses the myths of the sun’s dangers and gives readers an action plan for restoring this important natural resource for better mood, strength, energy and nutritional health. Sherrill Sellman, ND - Dr. Sellman is the author of Hormone Heresy – What Women MUST Know About Their Hormones that will change your life, What Women MUST Know About How To Protect Their Daughters From Breast Cancer and The Return of the Ancient Seed. Dr. Sellman’s professional credentials and commitment to an integrative healing approach extends over a thirty-year period, which include Doctor of Naturopathy, author, associate magazine editor, health journalist, international lecturer, women’s health educator and corporate stress management consultant. She is internationally recognized as a person who is inspiring men and women towards better healthcare choices, thus, a better life. Her career has taken her around the world with a strong message for women. “Women must realize that their natural functions are being medicalized and pathologized for profit.” “Steroid hormones in the form of the pill and hormone replacement therapy are dangerous drugs with many risks and side-effects. It is time for women to takeresponsibility for their health, because their health is big business and no one else will do it for them!” Her books and lectures, have brought shocking facts to women. Globally, women are responding with applause and greatful appreciation. Ian Shillington, ND - Dr. Shillington is the Director of the Academy of Natural Healing and the author of the soon to be released book, Health Freedom. Dawn Smith - Ms. Smith is a practicing Traditional Chinese Herbalist and Registered Veterinary Technician. She now works with both animals and people providing dietary, lifestyle and herbal healing advice. Before relocating to Cape Cod, she practiced TCM in California and England. A graduate of the Rocky Mountain Herbal Institute, an internationally recognized school for Chinese Herbal Therapy, Ms. Smith is a member of their Board of Advisors. Garrett Smith, NMD, CSCS, CBP, BS – Dr. Smith is the Director of Naturopathic Medicine of Southern Arizona. He obtained his doctorate from the Southwest College of Naturopathic Medicine in 2005. Dr. Smith uses his knowledge and backgrounds in naturopathic medicine, physiology, nutrition, biochemistry, rehabilitation, exercise training, and sports medicine in the ways he deems most suitable for each patient. Dr. Smith considers one of his greatest talents to be an ability to assimilate the huge amount of nutrition/biochemistry information available and distill it into a format approachable by the layperson. Discover and Treat the Cause, Not Just the Effect (tolle causam)—As stated by Samuel Hahnemann in the foundational book of classical homeopathy, the Organon: “The first and sole duty of the physician is to restore health to the sick.” Physicians are bound by oath to seek and treat the underlying cause of a disease. Nothing less is acceptable. Symptoms are a signal that something is out of balance, expressions of the body’s natural attempts to heal itself. The origin of disease, also known as the “obstacle to cure” must be treated and/or removed so that the patient’s innate healing ability can instigate a full recovery. Joanna also writes for the raw food publication Get Fresh! and the Raw Divas and Raw Mom websites. Joan Sumpio, RND - Ms. Sumpio is a nutritionist and dietician and is a weekly columnist for the national newspaper, the Manila Bulletin. She is a trained Diabetes Educator and Lactation Team Manager and is the co-author of 3 studies on Blenderized Feeding. Ms. Sumpio is a contributing writer to MIRROR Magazine, University of Santo Tomas Hospital Diabetes Center Newsletter Sweet Notes),Preventive Magazine, Medical Observer and Diabetes Magazine and is interviewed often by tv, radio and magazine media. She is an award winning dietician and speaker and s a proponent of nutritional magnesium. Joshua Tucker, B.A., C.M.T. - Joshua Tucker – known as The Tendonitis Expert – is a Licensed Massage Therapist and author of The Treatment That Works DVDs, workshops, and the http://www.tendonitisexpert.com website. Professionally I focused on Carpal Tunnel and Tendonitis, because I have the experience and skill to deeply understand the dynamic, and because there is a HUGE need for it. I love helping people get out of long-term pain, quickly and easily. My favorite kind of client is someone who has had pain for years or decades, tried everything else that is out there but still has pain, and hopes against hope that there is a way to live pain free again. Dr. Amber Voitenko, D.C. - Dr. Voitenko has over 15 years of field experience and is an expert on the non-drug treatment of ADHD, using magnesium citrate mineral supplements and other nutritional support methods. She has lectured to thousands on the subject of ADHD and women’s health issues including natural solutions to PMS and weight loss. Elizabeth Walling, freelance writer - Ms. Walling specializes in articles about health and family nutrition. Elizabeth is a strong believer in natural living as a way to improve health and prevent common illnesses. Coach Jonathan Wong - Coach Wong is a professional fitness trainer and member of the prestigious Singapore Men’s Health Advisory Panel. He is also the owner of The Genesis Performance Center and is a sought after Singapore personal trainer and performance expert who has helped thousands of people in Singapore achieve their fitness, fat loss and sports performance goals. Janet Zand – OMD, L.Ac. - Dr. Zand is a nationally respected author, lecturer, practitioner and herbal products formulator whose work has helped thousands of people achieve better health. She is a Doctor of Oriental Medicine, a Doctor of Naturopathy and a Board Certified Acupuncturist. With over twenty years of experience in natural medicine, Dr. Zand has developed a unique approach which combines herbal medicines with nutrition, homeopathy and acupuncture. Dr. Zand is the author of “Smart Medicine for a Healthier Child” (Avery Publishing, 2003) which describes courses of treatment in different modalities for common conditions experienced by children, and “Smart Medicine for Healthier Living” (Avery Publishing,1999) and Smart Medicine Family Health Journal (2004) and is a proponent of nutritional magnesium. Dr. Scott Zashin, FACP, FACR - Dr. Zashin is the Clinical Associate Professor of Medicine at the University of Texas; Southwestern Medical School and is the Attending Physician at the Presbyterian Hospital in Dallas, Texas.